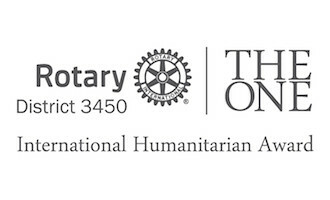 To support Child Development Matching Fund (CDMF), to care child development and to help poverty alleviation, Rotary Club of Hong Kong Northeast and Rotary Adopt A School co-organized Carol Singing 2014 on 14 December at East Point City, Tseung Kwan O Town Centre, Hong Kong. 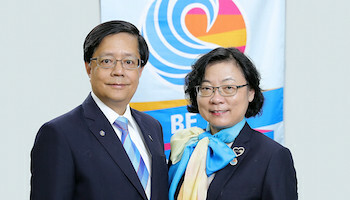 District Governor Belinda Yeung graced our occasion. The Officiating Guest was the Hon. Mr. Paul Chan, MH, JPSecretary for Development Bureau of HKSAR and the Guest of Honour was Mr. Jimmy Ma, JP, Legal Adviser of Legislative Council Secretariat. With tremendous support from Rotarians, Rotary Clubs and their partnering schools as well as supporters, non-stop singing, dancing and various performances carried out continuously for 7 hours on a beautiful Sunday. The student of ELCHK Lutheran Secondary School acted as Master Ceremony in their performing time slot was excellent to create an exciting atmosphere for all participants while the performances of these 170 participants singing simultaneously highlighted all the audience in the mall during the event! We thank you so much to those who have given us your financial backup and / or physical presence to support the less advantaged youth in our community. Special thanks must go to Auxiliary Medical Service,all volunteer helpers, student ambassadors all of those who helped us to make this event a success! Wishing all of you a very Merry Christmas and Happy New Year! This entry was posted	on Tuesday, January 6th, 2015 at 3:27 pm	and is filed under RAAS, RAAS Newsletter. You can follow any responses to this entry through the RSS 2.0 feed.Both comments and pings are currently closed.